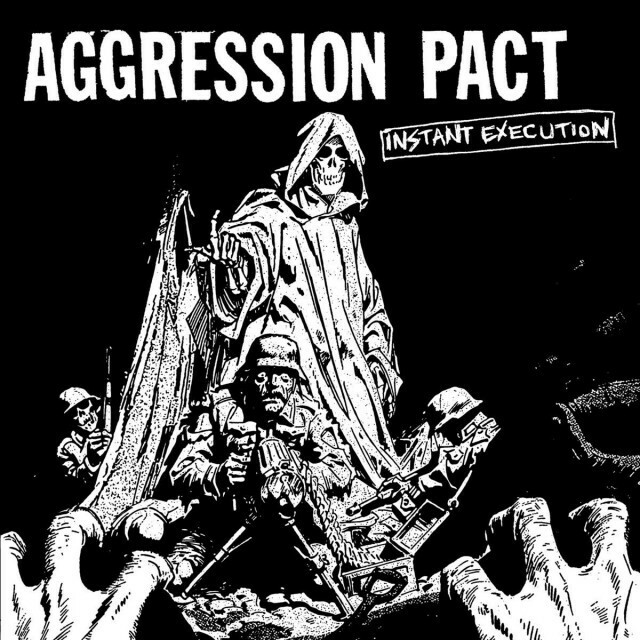 Home › • AGGRESSION PACT "Instant Execution" 7"
• AGGRESSION PACT "Instant Execution" 7"
Aggression Pact deliver their first recording as a full band and bring another tight wound EP of tuneful USHC in the mold of classic bands like N.O.T.A. 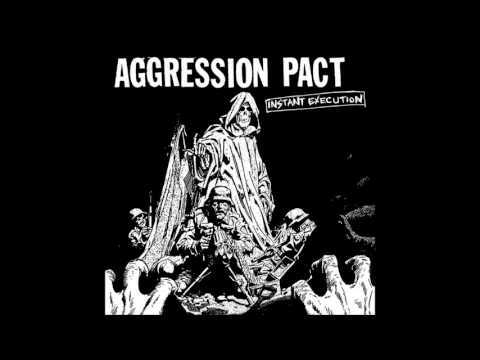 and C.I.A. This time around they bring a fuller sound, with a twin guitar attack, and a more cohesive song writing approach, all held together by the inimitable glue of Mark Shubert&apos;s patented Jerry A meets Mark Sheehan growl. ABSOLUTELY THE MAIN EVENT.